Oxfam has criticised a new report on international aid drawn up by a Tory MP and an analyst for the right-wing Henry Jackson Society (HJS). The document calls for international aid funds to be spent on UK military and Foreign Office projects and the BBC World Service. These ideas may be welcomed by government. International Development Secretary Penny Mordaunt has previously indicated her desire to divert aid spending to the military. The report was authored by Tory MP Bob Seely and James Rogers, a HJS strategist. It contains supportive forewords from Boris Johnson and Labour MP Ian Austin – although Austin’s foreword says he doesn’t agree with it all. “Redefining Britain’s aid budget in this way would be a recipe for disaster. The primary purpose of aid is – and should continue to be – to fight poverty. Any other approach risks aid being spent badly and jeopardising the lives of the world’s most vulnerable. Labour MPs, like Shadow International Development Secretary Dan Carden, also opposed the report’s recommendations. Two former Conservative International Development Secretaries, Rory Stewart and Andrew Mitchell, also opposed the report’s recommendations. Former UK development secretary Andrew Mitchell on the post-Brexit raid/redefinition on the overseas aid budget. 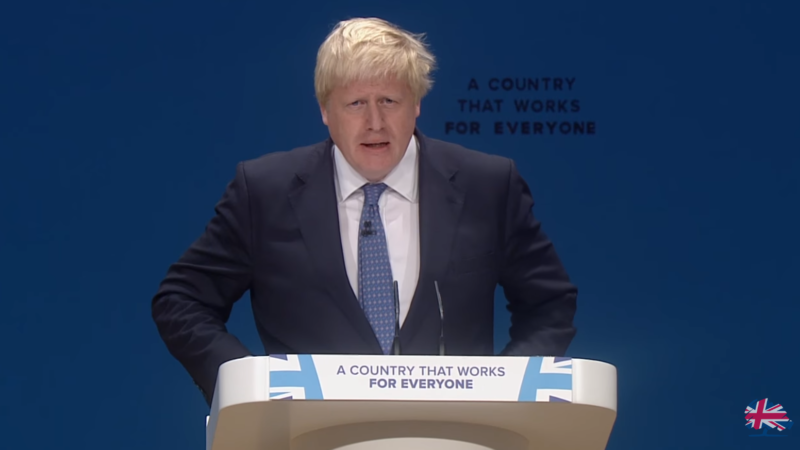 “Boris is a bit like a medieval pirate whose eyes have alighted on this plump Spanish galleon loaded with bullion and he wants to board it and plunder it”. HJS is a neoconservative think-tank and lobby group which promotes the idea of British military intervention abroad. Its director in 2012 was William Shawrcross, who is now in charge of the Charity Commission. He has said that “Europe and Islam is one of the greatest, most terrifying problems of our future”. Another former employee is Raheem Kassam who went on to become Nigel Farage’s adviser and editor-in-chief of far-right website Breitbart. The organisation goes to great lengths to keep its donors secret. In 2014, it pulled out of organising All-Party Parliamentary Groups after it was told this meant it had to disclose who its donors were. HJS said it wanted to respect its donors privacy. In 2017, a Charity Commission investigation was launched into HJS after Spinwatch revealed the society was being by the Japanese embassy to spread criticism of China. The accuracy of the society’s statements has also been questioned. In November 2018, it made headlines when it claimed in a press release that there were 75,000 Russian spies in the UK. In fact, the 75,000 claim came from Russian dissidents and was a claim that a Henry Jackson Society researcher who it was made to considered “paranoid”. There are just 59,000 Russian-born people living in the UK.